And people say HIS NAME DOESN'T MATTER! YaHuWaH's has ALWAYS left clues for His elect to find the truth, EVEN in regards to His and His sons set apart name. Scripture reminds us that the devil set out to blaspheme the set apart name which he KNEW there was going to be a war over (MaChaZaH 13:5-6 "
Revelation"). Let us NOT forget that YaHuWaH is sending out His MaLAK's (messengers / representatives) to share His truth because the masses continue to proudly call on Him with generic titles (the LORD / god! Those that truly reverence, love, obey and SEEK Him, will find him! 23 And I will sanctify my great NAME, which was profaned among the heathen, which ye have profaned in the midst of them; and the heathen shall know that I am YHWH, saith the master ALaHiYM, when I shall be sanctified in you before their eyes. 12 I will praise thee, O יהוה (YHWH) my ALaHiYM, with all my heart: and I will glorify thy NAME for evermore. The Creator has left amazing hints to the truth, which gives his chosen few encouragement to walk in His Name. This image is from Cecil B. DeMille’s movie, "The Ten Commandments" and was recorded well over 50 years ago. The prop master did his homework and used the historically correct Phoenician / Paleo Hebrew lettering for YaHuWaH's name on the tablets that Charleton Heston carried in the movie. These truths have been in out face the whole time, but due to traditions of men, people are NEVER taught the Creators true name. Bat ShaMuWAL 7:26 "2 Samuel"
"And let thy NAME be magnified for ever saying, יהוה (YHWH) of hosts is the ALaHiYM over Israel: and let the house of thy servant David be established before thee"
The Heavenly Fathers name written in Phoenician / Paleo Hebrew on the golden medallion in the movie, "Raiders of the Lost Ark". The Prop Master did his research on this piece and had this prop declare the true name of the Creator "YaHuWaH" in Phoenician / Paleo Hebrew, the same font found in the Dead Sea Scrolls. Despite being implied in the movie to be Egyptian, the writing around the edges is actually ABaRiY (Hebrew). The script is ancient Phoenician, which was used for both Hebrew and even early Greek, but is called Paleo-Hebrew. A co worker brought in a replica of the prop from Raiders of the Lost Ark, notice the Heavenly Fathers true name YaHuWaH in the Phoenician / Paleo Hebrew characters. 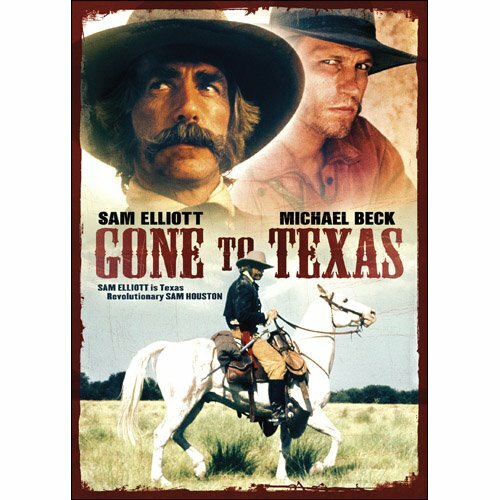 "And I have declared unto them thy NAME and will declare it: that the love wherewith thou hast loved me may be in them, and I in them"
At 1:21 into the, video the Cherokee Chief Declares the name YaHuWaH to actor Sam Elliott In this 1986 Movie "Houston: The Legend of Texas". The Cherokee Indians come from the tribe of Gad which is one of the original 12 tribes of YaShaRAL (Israel), hence their language having a ABaRiY (Hebrew) dialect in it. You can hear them singing "Hey -YaH" (short for YaHuWShuWA) in the beginning of this short clip. "For where two or three are gathered together in my NAME there am I in the midst of them"
At 3:48 into the video, Actor Peter O'Toole Declares The Name YaHuWaH 40+ years ago. in the 1972 movie "The Ruling Class"
James Edward Ingram (February 16, 1952 – January 29, 2019) in 1985 was triple nominated for "Best Male R&B vocal performance", due to his single "YaH Mo Be There". (a duet with fellow R&B musician Michael McDonald) In this short 2 minute clip even though James Ingram says YaShuWA and YaHWeH, (these were thought to be true renditions of the names back then) it once again proves people knew the saviors name was NEVER Jesus. People were searching and waking up to the truth back then!